Joint replacement surgeries have helped millions of people by relieving their chronic pain and restoring function and mobility. If you’re experiencing daily hip pain from arthritis or an injury, studies show that 90 percent of those who have hip replacement surgery enjoy a higher quality of life with less stiffness or pain, and they are able to get back to enjoying activities they may have been avoiding. According to the American Academy of Orthopedic Surgeons, more than 320,000 hip replacement surgeries are performed every year, making this procedure one of the most commonly-performed elective surgeries in the country. After consulting with your physician and deciding that hip replacement surgery could be beneficial to your individual situation, you may be concerned about your recovery. Although immediately following surgery there may be some initial discomfort while walking or exercising, most patients are able to get up out of bed and move about the same day as the operation! Take part in a rehabilitation program. 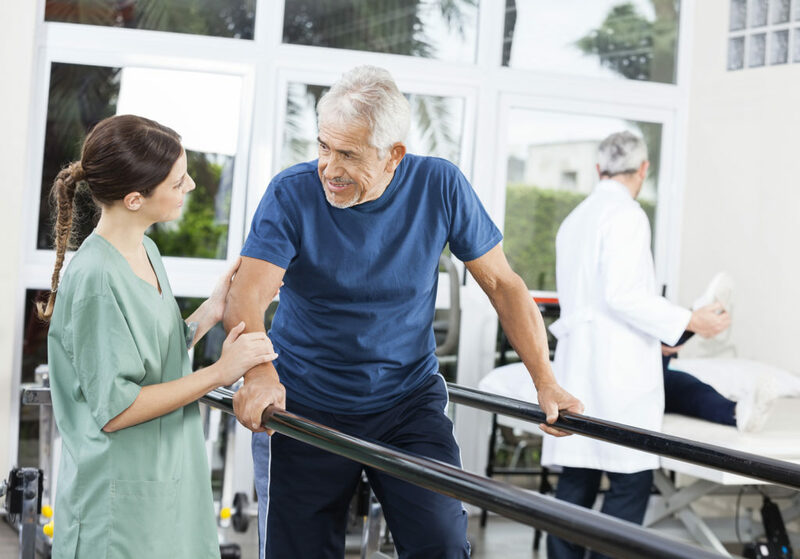 Physical therapy will start in the hospital as soon as the day after your surgery, and you may be required to recover for a few days in a rehabilitation center before you return home. You’ll learn how to utilize assistive devices and will perform exercises designed specifically for hip replacements that will strengthen your muscles and keep your blood flowing. Make the proper modifications to your home. Before leaving the hospital or rehabilitation center, you should be able to get in and out of bed independently, walk safely with your walker or cane, be able to move your joint a bit and manage your pain with the proper medications. When you return home, make sure the environment is as safe as possible by removing low furniture, throw rugs or cords that could cause a fall. You could also consider adding features like grab bars in the bathroom and a shower chair to make life a little easier. Adjust your lifestyle. Make healthy choices throughout your hip replacement recovery by staying as active as possible to build your endurance and increase mobility. Also, make sure to eat a balanced, nutritious diet. Being a few pounds overweight could make your recovery time slower and add to excess pressure on your new joint. Follow your aftercare instructions. Keep up on your exercises, therapy and any instructions your physician or physical therapist provided for the weeks following your hip replacement surgery. If you experience any significant pain or discomfort, contact your medical team immediately. At Immanuel Lutheran Communities, our short-term rehabilitation program at The Retreat provides long-term contentment. With a resort-like feel, unmatched hospitality and a variety of innovative therapy amenities, you’ll recover comfortably and successfully. Contact us to learn more about short-term rehabilitation offered at our Kalispell retirement community, located in the beautiful Flathead Valley.